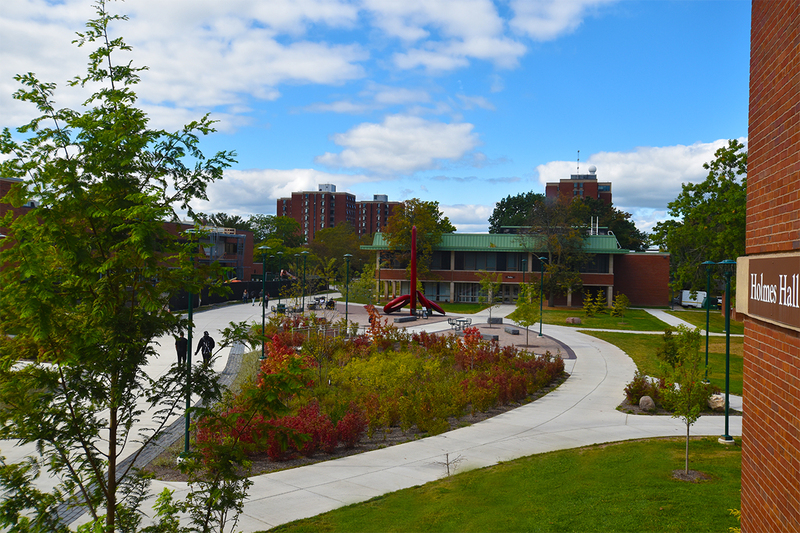 TWMLA provided comprehensive site design for an ambitious project to transform the 75-acre core of the north campus at the SUNY College at Brockport. 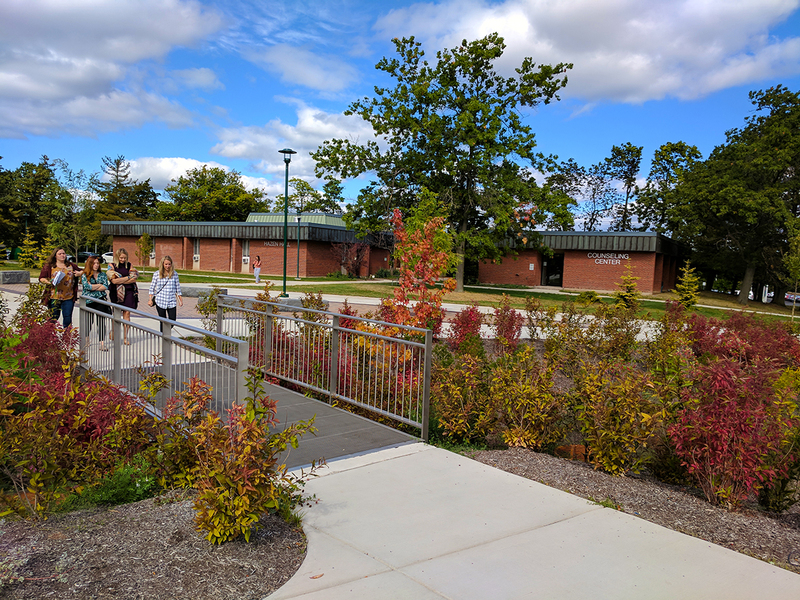 Initially conceived to replace aging subsurface utilities, the project expanded to provide a major redesign of the campus landscape to better reflect the institution, and improve safety and accessibility in the heart of the campus. 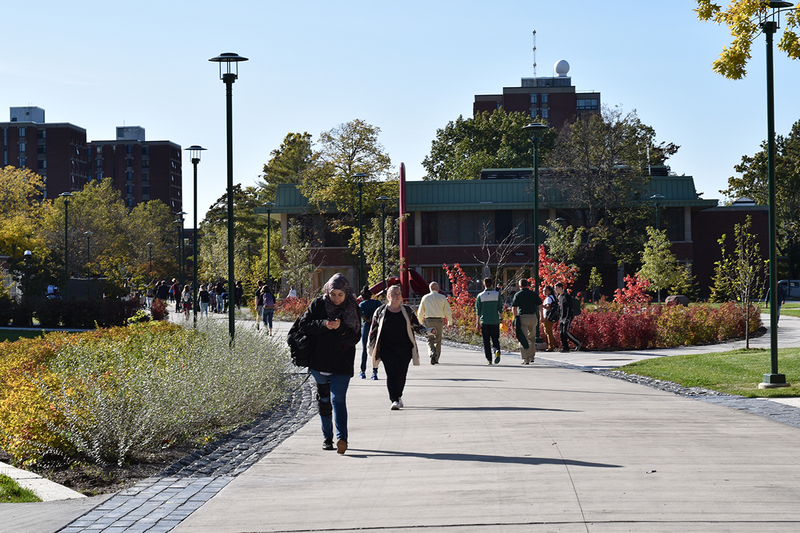 Prior to preparing any design concepts, TWMLA performed an extensive analysis of all existing trees and pedestrian pavements in the north campus area. 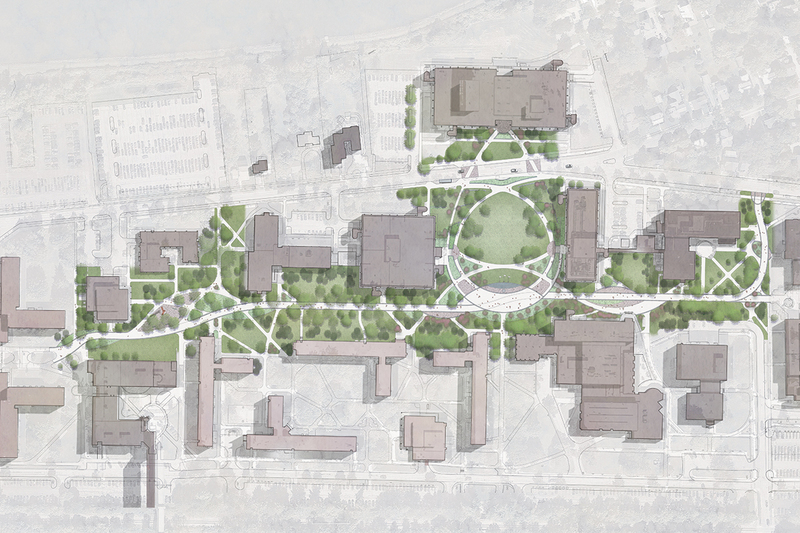 This ground work informed design at many levels, primarily to assist the client team to focus site investments for the greatest benefit to the college community. TWMLA’s site design replaces a dated, confusing system of sidewalks with a new intuitive pedestrian network. A new pedestrian spine acts as a common thread uniting a number of formerly disjointed areas, facilitates emergency vehicle access, and provides public gathering spaces at a variety of scales. 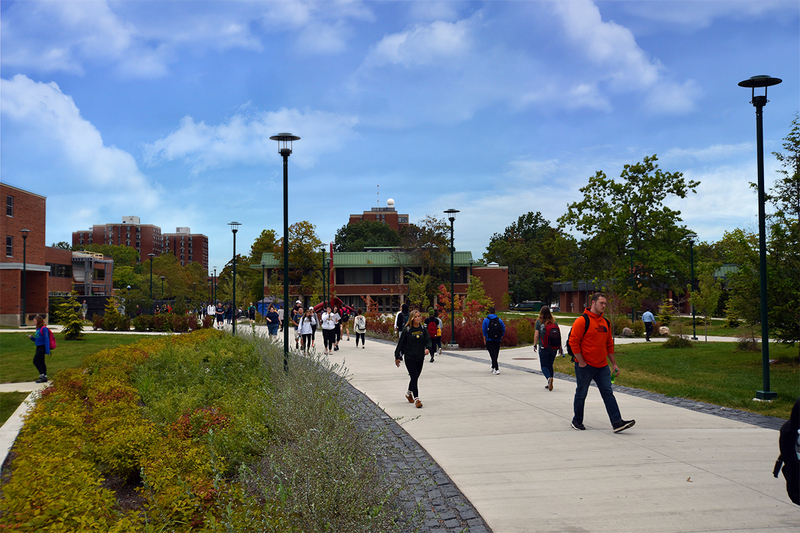 The design team focused on developing a robust green infrastructure program to define the visual character of the spine. A system of lushly planted rain gardens are woven through the site, and porous plaza pavements reduce stormwater quantity and impervious surface area. The project features ambitious tree plantings to address declining tree health and a lack of species diversity identified during the site analysis. For every tree taken down, two were planted; a progressive step to ensure that the campus continues to feature a healthy tree canopy into the future.